Science plays a crucial role in the fight for clean competition, and USADA’s expert scientists are leaders in the anti-doping community globally. One of the most important areas where USADA’s science team has significant impact is research and scientific advancement in methods and practices that detect and deter the use of performance-enhancing drugs in sport. During the period from 2001-2009, USADA budgeted $2 million per year to support research in areas including anabolic steroids, growth hormone, oxygen transport-enhancing substances, genetic doping, and ethics, among others. Today, research efforts and resources are pooled and led by the Partnership for Clean Competition (PCC), a non-profit collaboration, which was founded in 2008 by the U.S. Anti-Doping Agency, the U.S. Olympic Committee, the National Football League, and Major League Baseball. 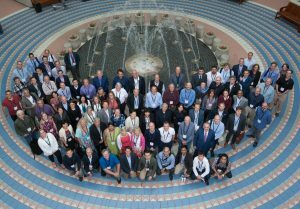 The 16th Annual USADA Symposium on Anti-Doping Science, hosted by the U.S. Anti-Doping Agency (USADA) was held September 29-October 2 in Orlando, Florida.